San Francisco’s de Young Museum of Fine Art is set to showcase a large-scale exhibition that explores “the complex and diverse nature of Muslim fashions and current modest dress codes” for Fall 2018. Entitled “Contemporary Muslim Fashions”, the six-month-long show is the brainchild of the museum’s outgoing director, Max Hollein, and will kick off on September 22, and conclude on January 6, 2019. The upcoming show will look at garments and styles from across the world, including interpretations of the hijab by Muslim and European designers, such as Yves Saint Laurent and Dolce & Gabbana, to name a few. 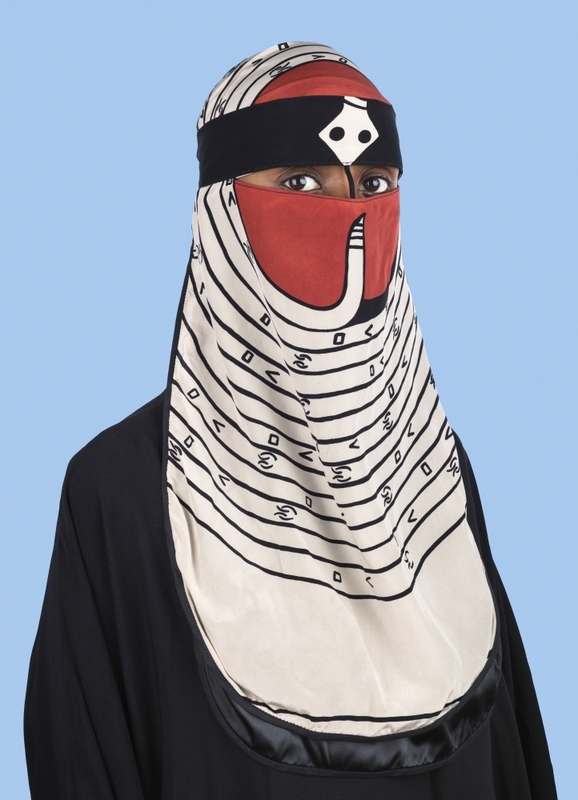 Meanwhile, another portion of the exhibition is set to explore streetwear and sportswear with Islamic inspirations, such as the innovative, award-winning Nike hijab and the polarizing burkini. In a press release, Hollein says: “There are those who believe that there is no fashion at all among Muslim women, but the opposite is true, with modern, vibrant, and extraordinary fashion scenes, particularly in many Muslim-majority countries.” The director and CEO of the museum explains that the aim of the exhibition is to challenge misconstrued stereotypes about how Muslim women define themselves through fashion, as well as to promote cross-cultural communication, understanding, and appreciation. “‘Contemporary Muslim Fashions’ is an overdue, much-needed exploration of a multifaceted topic as yet largely unexplored by museums. This exhibition stands out in our long history of outstanding fashion exhibitions and will shed light onto larger political, social, and cultural understandings and misunderstandings,” he adds. Pieces on display will range from special Eid and Ramadan kaftan collections to high-end abayas by Franco-Algerian designer Faiza Bouguessa. Mashael Alrajhi, Fyunka, Bambah, Itang Yunasz, Dian Pelangi, and Bernard Chandran are also among the regional designers to be spotlighted in the hotly anticipated exhibition. There will also be an entire section dedicated to photography and film, which will include socially charged artworks by artists such as Wesaam Al-Badry, Rania Matar, Hassan Hajjaj, and Shirin Neshat. Curated by Jill D’Alessandro, curator in charge of Costume and Textile Arts at the Fine Arts Museums, and associate curator of Costume and Textiles Laura L. Camerlengo, the new Muslim-focused exhibition comes at a time when Islamic-inspired fashion is dominating collections. Recent shows were peppered with renditions of the traditional head cover, whether it was in the form of gravity-defying turbans at Marc Jacobs Spring 2018 or embellished shawls draped over models’ heads at Jean Paul Gaultier Fall 2017 Couture. For Fall 2018, iterations of the head scarf made an appearance on the runways of renowned brands including Alexander Wang, Calvin Klein, Versace, Lanvin, Dior, Chanel, and Balenciaga. They were also present at Gucci, where a number of models strutted down the catwalk sporting dainty scarves secured under the chins. One model even wore a lilac bejeweled face-covering that resembled the niqab. Meanwhile, in Paris, LVMH Prize winner Marine La Serre presented hooded bodysuits complete with her signature crescent moon emblem, a motif deeply rooted in Islam.